The 5th INTERNATIONAL CONFERENCE ON HYPERTENION AND HEALTH CARE will bring together Cardiologists, Cardiac & Cardio-thoracic Surgeons, Researchers, Scientists, Professors, Medical Students & Business Professionals to discuss about various topics as in Hypertension and medication for Hypertension, Heart Diseases, Women & Heart Disease, Electrocardiography, Nuclear Cardiology, Diabetes & Heart, Sports Cardiology, Non-Invasive Cardiac Imaging and so on, under a solitary rooftop for a brief, yet an intense period of time for their sharing of knowledge amongst themselves. Cardiology is a branch of medicine dealing with disorders of the heart; be it human or animal. The field includes medical diagnosis and treatment of congenital heart defects, coronary artery disease, heart failure, valvular heart disease and electrophysiology. Physicians who specialize in this field of medicine are called Cardiologists, a specialty of internal medicine. With members from around the world focused on learning about Cardiology, this is your single best opportunity to reach the largest assemblage of participants from the hospitals, Universities, community, etc. This Annual Meeting will conduct demonstrations, distribute information, meet with current and potential researchers and receive name recognition at this 2-day event. World-renowned speakers, the most recent techniques, tactics, and the newest updates in Cardiology field are hallmarks of this conference. The global cardiology market includes interventional, cardiac & cardiovascular devices. The global interventional cardiology devices market has been expected to grasp $25.16 billion by 2020. On the other hand, the Asia Pacific market is expected to go above $6.4 billion by 2022, growing at a lucrative rate over the forecast period. The global market for cardiovascular surgical devices used in the operating room was worth about $31 billion in 2010. By 2015, this market ranged almost $48 billion at a CAGR of 8.7%. By 2017, it is estimated to reach at a market value of $70. The growth is attributed to the presence of large initial opportunities, rising healthcare expense, cardiovascular disease incidence rate and disposable income levels. North America interventional cardiology devices market was the largest with revenue share estimated at over 35.0% in 2013. Europe was the second biggest area in 2014, with rising occurrences of obesity and changing lifestyle habits as- irregularities in diet and evolving number of smokers are responsible for the happening of cardiovascular disease prevalence. The advance of these products in this region also depends on the restitution policies given by each of the European nations. 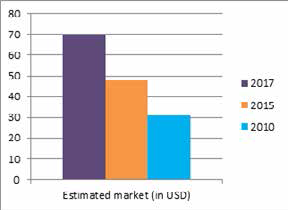 The Asia Pacific interventional cardiology devices market is habituated to be a bystander to significant gains, at a CAGR of over 9.0% from 2014 to 2020 due to the increasing popularity of cardiovascular disorders in geriatric and pediatric population, growing awareness about the cost efficacy and efficiency provided by these devices and rising health care expenditure levels. So Hypertension conference will be a great success now a days as the awareness for the treatment of cardiovascular diseases is very necessary among the people and all will come to know about the new researches going on and inventions in the field of Cardiology. The global cardiovascular device industry is growing rapidly and exhibits signs that it will continue to evolve and expand to reach over $105 billion by 2017, up from nearly $85 billion in 2010 according to a study from BCC Research.